Refrigiwear, luxury clothing brand for men and for women, born in 1954 in the suburbs of New York, initially appears on the market with a collection of technical garments, in particular cold-resistant but comfortable jackets suitable for working at low temperatures, then establishes itself in the sportswear market to finally consolidate as a luxury fashion brand, thanks to the addition of more and more style details, proposing models that over time will become real icons, like the historical parka. 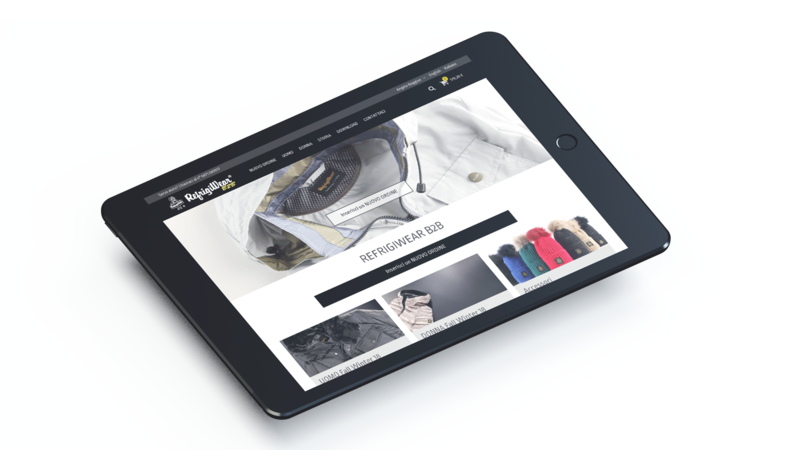 Refrigiwear B2B e-commerce site stems from the need to effectively manage communication and relationships with the sales network, both with agents and retailers, through the automation of many business processes, such as the acquisition of orders, the management of returns and substitutions, the management of warehouses, to make a qualitative leap and thus gain a competitive advantage on the market. 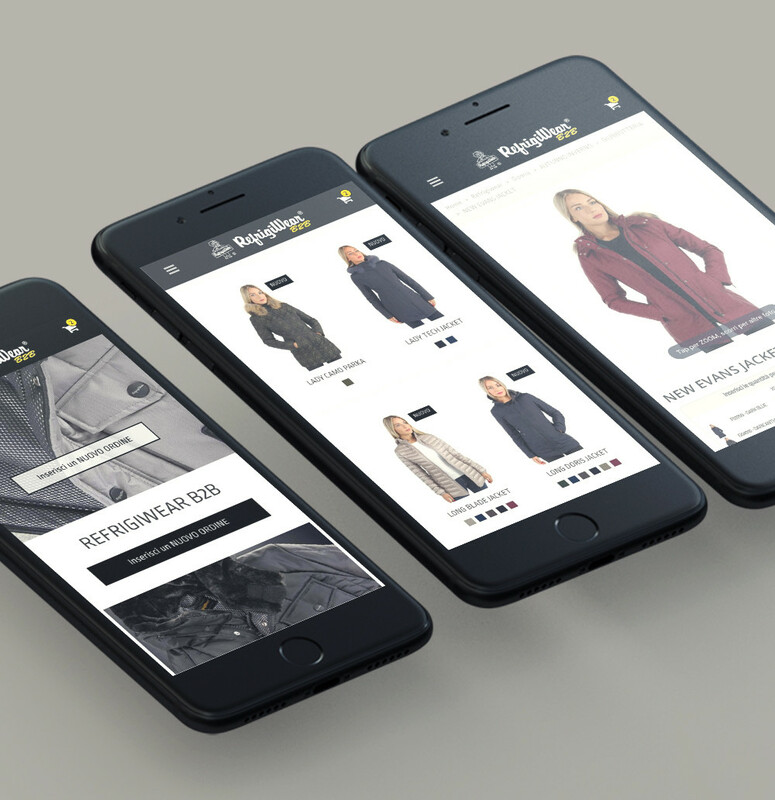 The website was conceived from a mobile first perspective, i.e it was optimized to make it easier to use on various devices with particular attention to the smartphone and tablet, taking into account the specific needs of the target users. We have created a website that is simple and fast to browse, within which the contents are organized in a usable way and are easily reachable from each page, thanks to the category banners, menus, filters and clear call to action. The catalogue offers an overview of the collections and offers exhaustively all the useful information: photos of the products (worn, still life, detail, zoom), in-depth descriptions of all the models and technical data sheets. 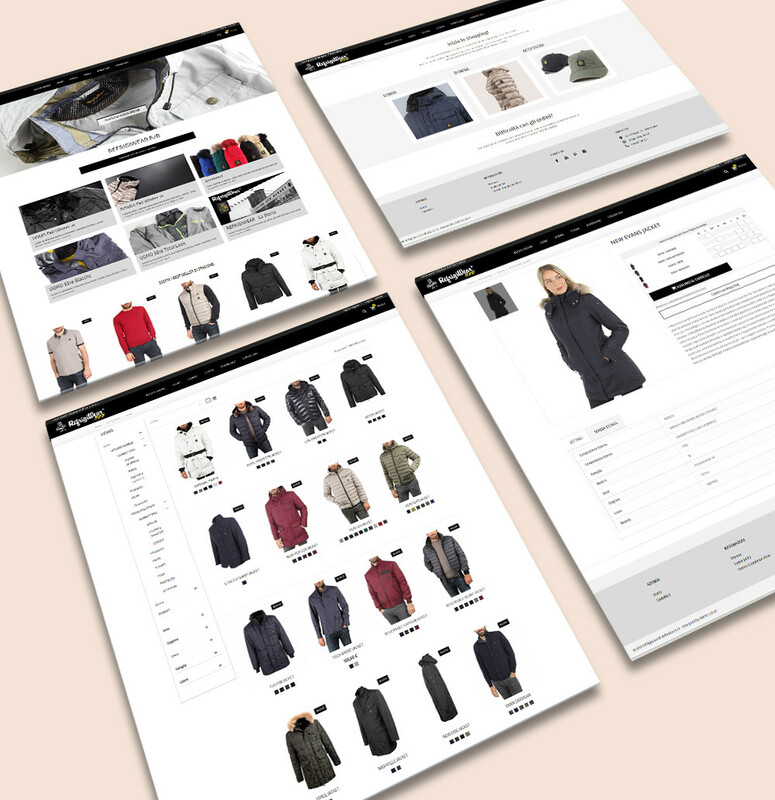 The product sheets provide a highly user-friendly size grid, designed to facilitate the mass insertion of quantities, a specific feature of B2B e-commerce. Last but not least, the download area, a section where each user can access and download corporate material, such as merchandising, catalogues, lookbooks, color cards. This section is a powerful marketing tool, thanks to which the company is able to communicate in a timely manner any news and updates such as special collections, flash sales, capsules, special events and commercial initiatives.